“Photography is not a hobby for me. It’s a way of life.” Mahmoud Abou Zeid, an Egyptian photojournalist better known as Shawkan, wrote this from the infamous Tora prison. Shawkan has been imprisoned since August 14, 2013, when he was arrested while covering the dispersal of a protest of supporters of ousted President Mohamed Morsi, one of the most violent events in the country’s modern history. Shawkan, who was 25 at the time of his arrest, has now spent more than 1000 days behind bars. 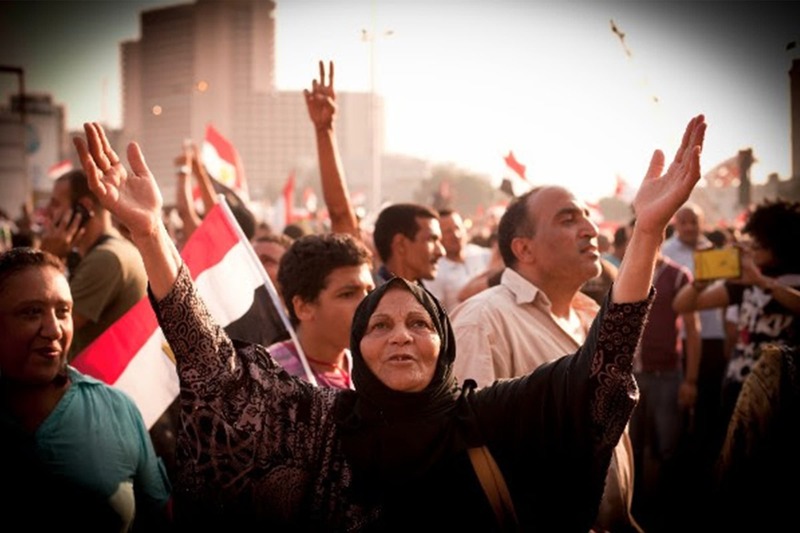 Shawkan’s photos are a poignant reminder of the early optimism of the Egyptian revolution and the uprisings which swept the Arab world. From celebrations in Tahrir Square to revolutionary graffiti, the fact that his last photos feel dated is a visual testament to how long he’s been behind bars. Shawkan’s arrest is a marker of a dramatic change in Egypt, which has since transformed into one of the world’s worst jailers of journalists. The Committee to Protect Journalists (CPJ) is showcasing the work of Shawkan in order to advocate for his swift release, and to highlight the plight of journalists and journalism in Egypt today. Shawkan is a recipient of CPJ’s 2016 International Press Freedom Award. Learn more about Shawkan here.